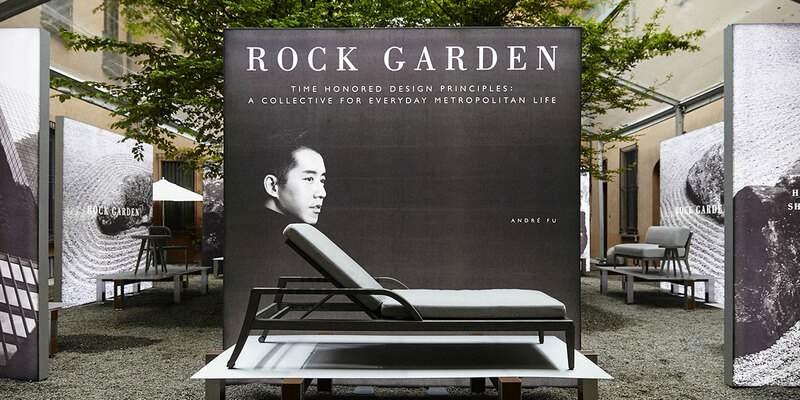 Nestled in a cozy courtyard just steps away from the Poltrona Frau Showroom, an intimate garden carefully constructed with display platforms served as the stunning space where André Fu debuted his new collection, Rock Garden, designed exclusively for JANUS et Cie. 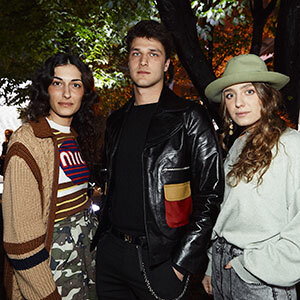 The collection, officially launching the first of May, is characterized by thoughtful details and a highly refined aesthetic. The comprehensive dining and lounge ensemble communicates tranquility and balance through a combination of richly textured materials—solid premium teak, JANUSfiber, and textured Alabama ceramic tabletops. “It is a collection that embraces the poetic qualities of the authentic Japanese garden—where masculinity of rocks and the sensuality of sand patterns juxtapose to create a unique language of visual tension,” says Fu of his first collaboration with JANUS et Cie.
“André has always been ahead of his time, with a keen eye for precision and an innovativeness that I deeply admire, and we are thrilled he has created a new collection that so wonderfully embodies the spirit of JANUS et Cie,” says Janice Feldman, JANUS et Cie founder and CEO. 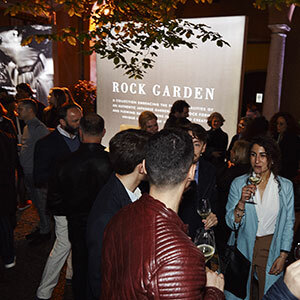 Following the exclusive cocktail party, the Rock Garden installation was on display throughout Salone del Mobile. Click here to see photos from the cocktail party as well as images of the Rock Garden installation.